Plenty of people have made the switch from real cigarettes to e-cigs. So it should come as no surprise to learn that celebrities are jumping on board too. In fact there are plenty of celebrities flaunting their chosen e-cigs when they’re out and about. They’ve been hitting the news for it too, as more and more people are realising they’re in good company whenever they vape. Julia-Louis Dreyfus turned heads at the 2014 Golden Globe awards when she vaped on camera. 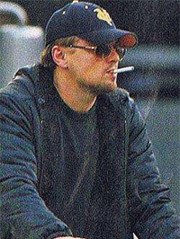 She wasn’t the only celeb to do it there either – some guy called Leonardo di Caprio, no less, was also seen vaping while wearing his rather smart dinner jacket. He’s been photographed on several other occasions with his favourite e-cigarette too. Charlie Sheen has gone one step further than vaping. He has released his own brand called Nicosheen (we think that has a nice ring to it). He took up vaping when he realised he couldn’t easily smoke while on tour, and avoided getting fined because of it. Katy Perry is known for her unique music sound, and now she is becoming known as a celebrity music vaper too. Another music star to vape – albeit one that has been around a lot longer than Katy – is Tom Petty. He’s thought to have made the switch so he can take a healthier approach to life. 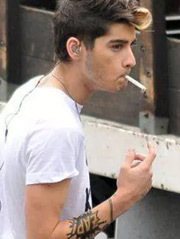 Zayn Malik, formerly of One Direction (you may have heard of them), is also known to have started vaping. Robbie Williams and Snoop Dog have also been rumoured or seen to vape from time to time. Simon Cowell, he of The X-Factor fame, has admitted to having a heavy smoking habit in the past. Nowadays he has switched things up and has started vaping instead. One of his fellow judges on Britain’s Got Talent, Amanda Holden, revealed all when she was interviewed. Apparently Cheryl Fernandez-Versini (formerly Cheryl Cole of Girls Aloud) has also taken up the vaping habit. Elsewhere the famous (or should that be infamous?) Lindsey Lohan has also hit the headlines for vaping in public. And Katherine Heigl vaped on David Letterman’s show way back in 2010, so she was really ahead of the crowd. They talked about e-cigs and the benefits of using them as opposed to smoking. So there is quite a crowd of celebs out there, both in the UK and on the other side of the pond, who are vaping now rather than smoking. Are E-Cigarettes Becoming a Lifestyle Accessory? 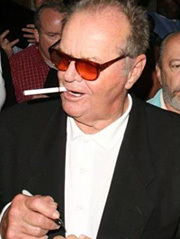 E-Cig Vaping News celebrities, celebs, charlie sheed, jack nicholson, katy perry, leonardo dicaprio, paris hilton, vaping, vegas, zayn malik permalink.